I thought it might be helpful for me to write to introduce myself, as well as updating you on our schools’ progress in establishing our Multi Academy Trust called Nexus! My name is Andrew Child, I am a National Leader in School Governance and I have recently been appointed as chair of the the Nexus Multi Academy Trust (MAT) Board. 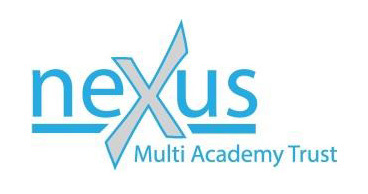 Our plan is for all three schools to be part of Nexus on the 1st June 2016, and there is lots of work underway behind the scenes to achieve this. I have been working very closely with the Headteachers at Abbey (Luci Windle), Hilltop (Rob Mulvey & David Burdett), and Kelford (Jacky Tattershall) schools to prepare for conversion to Academies on the 1st June, and we’re all very excited about the opportunities this will give us access to. As a Multi Academy Trust, Nexus will have a Trust Board of Directors, and each school within the Trust will have a Local Governing Body. The Chair of each school’s Local Governing Body will automatically qualify as a Director on the Trust Board – their role will be to make sure that each school in the Trust has equal voice and influence, representing the views of all our schools and all our children and young people. In this way, the governance arrangements will continue in a very similar vein to the way you’ve known it. However I have no doubt that Abbey, Hilltop and Kelford schools through being part of Nexus will collectively have more voice and influence than before. Additionally, we also have an expectation that each Local Governing Body has no less than two parent governors, which evidences our ongoing commitment to listen to your priorities and experiences. All Multi Academy Trusts are required to appoint a Chief Executive Officer and a Chief Finance Officer, who work with Headteachers, governors and Directors to help manage the Trust and set our strategic direction. I am delighted that we have managed to secure the appointment of Warren Carratt on an interim basis as Chief Executive Officer , who is working hard to make sure that the Trust is up and running by 1st June. Warren is an experienced senior manager in local government and the NHS, and has lots of experience in special school governance. He has already secured additional grant funding from the government to help us establish the MAT, which can only have a positive impact on our children and young people. Warren is now reviewing our options for securing an experienced Chief Finance Officer, and you will no doubt see him in the three schools regularly as he works closely with Headteachers and school staff to ensure the transition to the MAT is seamless. During all the industry of establishing a Multi Academy Trust, it would be easy for some governing bodies and school leaders to lose sight of the core business of improving the lives and life chances of children and young people. Thankfully, the leaders and governors at all three schools are totally focused on our children and young people, and we have been discussing new ways of challenging ourselves on how ambitious we are for the provision we offer. It gives me great pleasure to assure you that every conversation about the MAT focuses on “how can we make things better for children and families”. We already have plans for how we can achieve this within the first 12 months of the MAT, so I’m sure you’re all just as excited as I am to start that journey on 1st June. I will be in touch in due course, though if you have any questions or queries in the meantime, please contact your child’s Headteacher, or contact me via the clerk of governors at hsscsouthwell@rgfl.org.